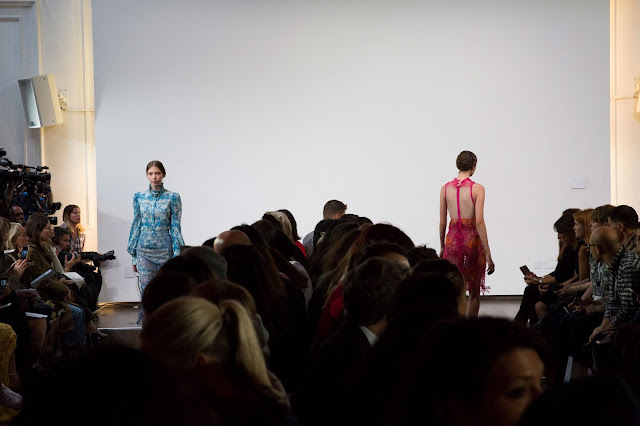 It is a challenge—especially during the event—to keep up with the collections that come out of fashion week. When you’re in a city for fashion week you’re more focused on your daily itinerary than viewing collections you’ve not seen online; this is highlighted by the lack of sufficient internet access at hotels. Today I am going to discuss two collections from brands I always feature, two collections that I had yet to talk about. 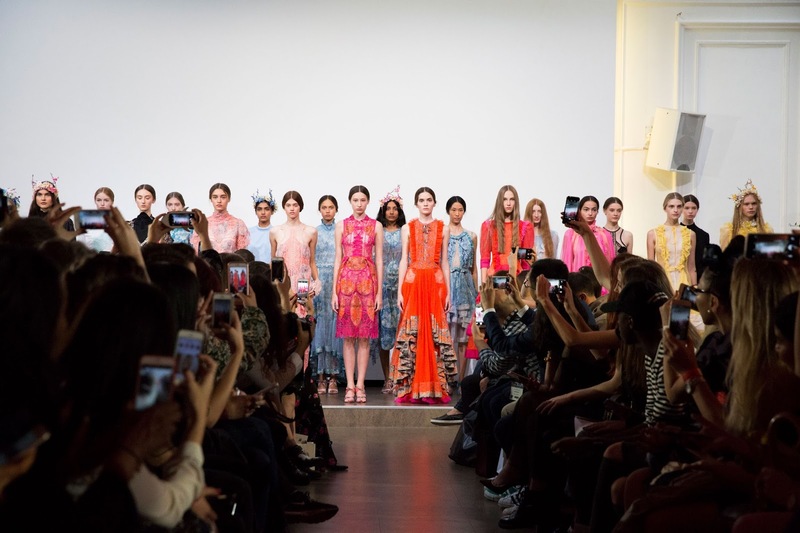 Bora Aksu was one of the first designers I experienced at London Fashion Week. Although his wasn’t the first show I attended—I visited Somerset House when he was presenting his Fall 2012 collection in February 2012, with my family. His show was broadcast live outside the BFC Courtyard Space. My first show was later and I have been following him since. For Spring 2017 he continued to venture out on his own, at a venue away from the BFC homestead. 93 Mortimer Street, a stately space hidden away from the main thoroughfare, hosted the latest presentation. Aksu’s family and his design language have always been interconnected. He has recalled letters sent to him while at boarding school, photographs of his mother in collections over the past few years. His grandmother, another influential character, inspirited this offering; her upbringing and her childhood home in the countryside by the Aegean Sea primarily. In accordance with last season, Aksu reinvigorated the lace macrame that defines his niche. It was growing tired but became energised with last season’s Russian tale. He contrasted the darkness with spring’s sensual but delicate brightness. The collection came in colours he returns to time and time again—hot pink with orange; sweet pale pink; turquoise and baby blue. They are the colours of the garden. The repetition is indicative of Aksu’s aesthetic: his work builds momentum slowly; it’s indicative of his use of familial references—the colour palette is a like a family recipe and Aksu is sharing it bit by bit with the fashion press. Eudon Choi is another regular on my blog. I have been following him for four years this year, although 2017 marks his seventh year in business. His breakout moment was in 2010 when he participated in Fashion Scout’s Ones to Watch; his breakthrough moment came the following year when Anna Wintour and the late Franca Sozzani invited him to present at Milan Fashion Week. Years later, Choi is still a fixture on the London Fashion Week schedule. His slow-burn attitude and approach to fashion has seen him celebrate—mostly underrated—female artists. His Spring 2017 collection was entitled ‘Francesca’, an homage to Francesca Woodman, the American portrait photographer. Drawing on the asymmetry apparent in her work, Eudon experimented with shape and silhouette. In his opening look he deconstructed the traditional blue shirt giving it a summery reset, exuding warmth and a Riviera state of grace. His ensuing collection saw him continue to play with shape in ways hitherto unimaginable. Typically bound my harsh lines, Eudon loosened the restraints and let his fabrics carry with the wind. Summery and feminine, but not necessarily bound by polish. Choi must’ve witnessed the rise of deconstructed lines at Vetements and Balenciaga. Here, without copying the trendsetter Demna Gvasalia in the slightest, he translates the trend into his relaxed, softer language. This breath-of-fresh-air-collection proves that Choi has become a superlative designer. Both brands fall into the mid-level category at London Fashion Week. 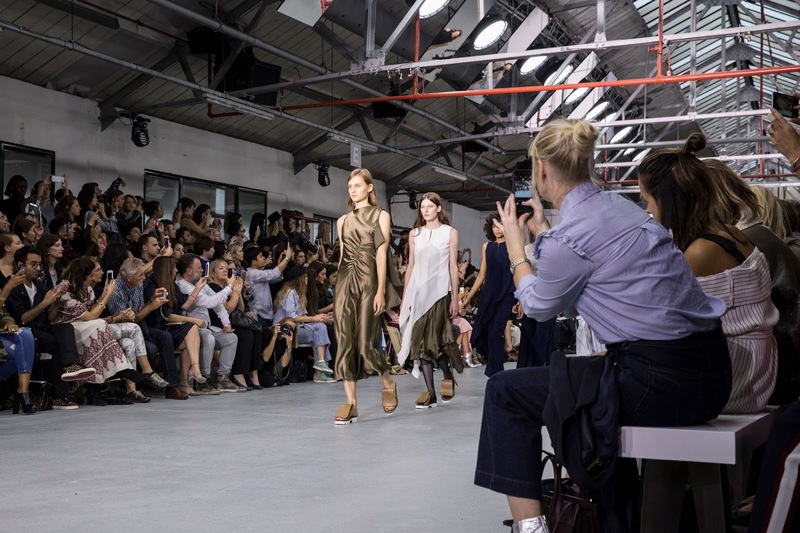 Scheduling shows that these brands’ shows and presentations fall on either the opening or closing day of the week, when the international press has yet to arrive from New York and when they’re about to board a flight to Milan. 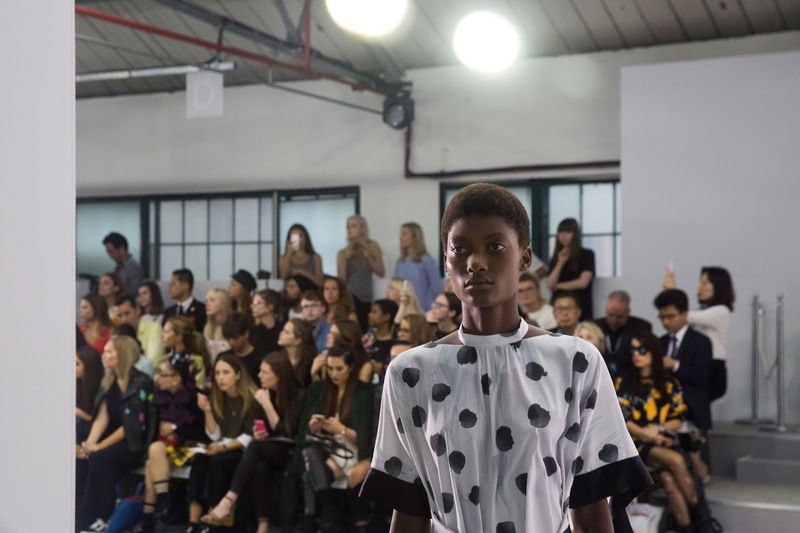 Luke Leitch commented on how the fashion press tend to “overlook or patronise mid-level designers”, in an article about how at London Fashion Week Men’s the bigger labels, i.e. McQueen, Burberry and Coach, have opted out of the schedule. Circumstances are different at womenswear week as evidenced by the brevity of the schedule—between high-wattage brands and buzzed-about upcoming designers: it’s easy to forget the all important middle ground. 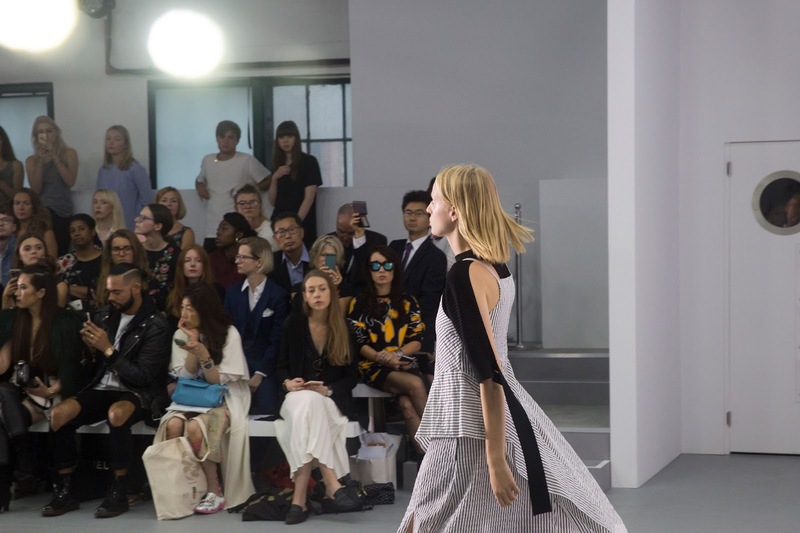 Thankfully, Bora Aksu and Eudon Choi stick around—they’re a nice change of pace.